Since 1966, Slaughter Plumbing has been providing residential and commercial plumbing services to Largo, FL and the surrounding areas. 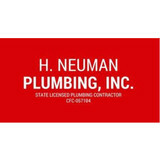 With our licensed team, you can trust us to handle all of your plumbing needs. As a family-owned and operated business, our team is here to help you with everything from broken pipes to complete drain cleanings. Call today to schedule an appointment with our team and ask about our warranties and discounts. Clearwater Plumbing has been providing a full range of plumbing sales, service and repairs to customers from our same Clearwater location since 1951. 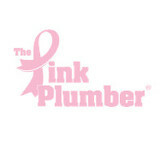 We are proud to be the plumber Pinellas County homeowners trust. Our professionals work throughout the Tampa Bay Area, including Clearwater, Dunedin, Palm Harbor, Safety Harbor, as well as Largo, Seminole, St. Petersburg and the Beaches. We also service western Hillsborough County, including Oldsmar, Westchase and Tampa. 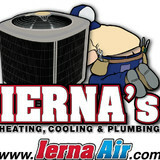 Our Largo customers trust us for quality service at fair prices as do our Palm Harbor customers. Each member of our staff receives ongoing training to stay current with new technologies, better methods, enhanced diagnostics and safer practices. We value your home as much as you do and take special precautions to protect your property while we’re working. Licensed and in business since 1978. Former clients include President Ford and Betty Ford, Merv Griffin, Bob and Dolores Hope, Actress Carol Channing, Singer Andy Williams, Actor Hal Linden, IMG Founder Mark McCormack, singer Barry Manilow and Golfer Arnold Palmer. A plumbing contractor handles the installation and repair of water, sewage and natural gas pipes throughout a home, as well as interior and exterior faucets and fixtures. Plumbing contractors are also trained to work with water mains, septic tanks, laundry appliances, water heaters, sump pumps and other plumbing and pipe systems. Because plumbing repair work is done largely behind walls and beneath floors, some plumbing companies can also patch or replace tile, stonework and other surfaces. Although some East Lake plumbers are generalists, others specialize in specific areas; a 24 hour emergency plumber will handle urgent residential repairs, while others may be more skilled in remodeling, natural gas lines, overhead sprinkler systems and more. Find a local East Lake plumber on Houzz. Narrow your search in the Professionals section of the website to plumbing contractors in East Lake, FL. You may also look through photos of East Lake, FL projects to find a licensed plumber who has worked on a project similar to yours. Here are some related professionals and vendors to complement the work of plumbers: General Contractors, Septic Tanks & Systems, Kitchen & Bath Designers, Kitchen & Bath Remodelers.